I had decided that come what may I was going to spend today in bed. Past experiences of colds which drag on and on persuaded me that this was a proper response, of course I haven’t been able to do this before because I have always been working but now I am retired I can happily have a day in bed. Of course, it didn’t work out like that! First Rachel discovered that both of her gas heaters in the kilt-making stables had run out of gas. So I had to get up and move the stoves from the Bothy into the Stables. 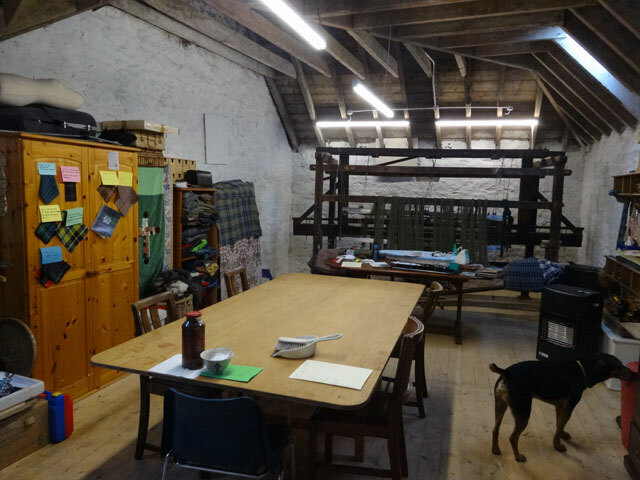 Next Rachel discovered that the electric fault which had attacked the Bothy had now spread to the Stables so I attacked the fuse boxes and, more by luck than judgement, got the lights working. I was up so I might as well walk Mix, which he appreciated, after which I did retire to bed with a Lemsip and a bottle of Beechem’s all-in-one cold cure. I read a little, watched a bit of television and slept the rest of the day away. Discovered that Tom is also laid low. Rachel and Ann's kilt-making course went extremely well.